Long Term, Cross Cultural Missionaries Need This Skill Set For Longevity On the Mission Field. Longevity on the mission field is very important when Christian missionaries engage in cross cultural mission in a remote setting. There are an abundance of short term missions. Missionaries tend to go for a week or two, to some remote places. They end up preaching the gospel and leaving, offering no follow-up or discipleship for any whose hearts were touched. When missionaries go to remote First Nations communities in Northern Canada, short term missions are considered to be ten years in length. The people who live in communities, yearn for long term missionaries. Some have asked visiting missionaries, “Are you going to leave?” or, “When are you coming back?” People in these communities need ministers of the Gospel who are in it, for the long haul. But it is not easy for missionaries to stay for one, two or three or more decades in the remotes, cross cultural settings. The following is a graph of a cross cultural worker’s timeline. The graph was basically a graph of emotional strength vs. time. In the graph, the initial, emotional “high” of missionary life quickly plummets after the missionaries move to a mission field and face the realities of serving in an isolated, cross cultural setting. Missionaries are well ware of their need for a “home church” support when they are gone. They are aware of the hardships on the kids. They are aware of long winters and being the minority in the community. They know the spiritual hardships that they are entering into. That is why it is imperative to develop the skill set of being able to feed one’s self on the Word of God from the Bible. Part 2: Four Areas Of Skill Sets Needed By Cross Cultural Missionaries. I agree that people are helpless to feed their souls with the word of God. It is God, by his Spirit, that allows us to accept the word of God, deeply. (Jer 31:31). It is the Gardener that makes the seed sprout and grow and bear abundant fruit. But there are some things that a believer may do to help create an environment in which Jesus can do his life giving work. Preparing our heart soil is one thing. Engaging in spiritual disciplines is another. First, skills acquired from our jobs. Third, spiritual skills that God could use to build up the church. 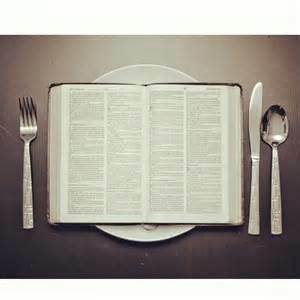 Fourth, the ability to feed one’s self on the word of God. The final skill set, the ability to feed one’s self on the word of God, is the most important skill set to ensure longevity in a remote, cross-cultural mission field. Let’s reflect on what it means to have skill sets that sustain us on the remote mission field. First, skills acquired from our jobs. The early Christians had many different jobs and skills. Peter and other disciples were fisherman. John ran a fishing business. They could feed themselves and other people. They could manage the new church. Paul was trained as a Pharisee. He was a great speaker. He was highly educated and he knew how to work with his hands. He made tents. Luke was a doctor. Pricilla and Aquila were dealers in textiles. God worked through the job skills that these people had to build up the church and spread the Gospel to the ends of the earth. But these job skills, did not ensure longevity on the remote mission field. Second, the early Christian possessed interpersonal skills. Paul was trained to speak. He was able to navigate intellectual and political circles. (Acts 26:2) Believers were blessed with humility born out of their faith. They know that they needed to love their neighbor as themselves (Matt 22:39). They were to lay down their lives for their friends (John 15:13). They were to be humble, gentle and submissive (Eph 4:2) They needed to be ready to wash one another’s feet. That is, bear with one another and forgiving each other endlessly. (John 13:1-17) They knew that they were to be slow to speak and quick to listen. (James 1:19). There were abundant skill sets given to the people of God so that they could strengthen one another and reach out to the unbelieving world. But these do not ensure longevity on the remote mission field either. Third, there were spiritual skills that God could use to build up the church. 1 Corinthians 12:27-28, talk about some of the gifts that people receive from the Lord in order to build up the church. “Now you are the body of Christ and individually members of it. 28 And God has appointed in the church first apostles, second prophets, third teachers, then miracles, then gifts of healing, helping, administrating, and various kinds of tongues.” (ESV) These are skill sets, given by God to build up and expand the church. Each Christian is given unique gifts. These gifts are great to have and use for the glory of God. God uses them to build up his church. But they do not necessarily ensure longevity on the remote, cross cultural mission field. Fourth, the ability to feed one’s self on the word of God. This is probably the most valuable skill set to ensure longevity in mission field. A missionary can have two PhD’s, be the friendliest person, be trained in several important jobs, but if they can not remain in Jesus, on a day to day basis, they can not last long on the mission field. Don’t get me wrong… we are forgiven sinners, prone to sin and falling away. We stand because Jesus makes us stand. We stand totally by the grace of God. But on the other side of the coin, there are certain spiritual disciplines that we can practice that help to strengthen our relationship with Jesus. Think of them as acts of righteous. Think of them as a means to seek first God’s kingdom and his righteousness. (Matt 6:33) They are acts like prayer, mediation on the word of God in the Bible, writing about Christian things, coming together with other missionaries to study God’s word, share their struggles and to pray. When a missionary finds themselves in a remote, cross cultural mission field, can the missionary feed themselves on Word of God? Can missionaries nurture and encourage one another spiritually? Can they be self directed, so when there is no other person around them, can they still move forward with Jesus? Are they able to take the initiative in spiritual matters? Can they find strength from the Lord, when the only other Christians around them may be 100 miles away or a few young believers? If the missionaries have a vine and branch relationship with Jesus, daily, they will survive long term and even thrive in the remote, cross cultural setting. Jesus will help us to keep that relationship alive and will and secure. Jesus will help us to have longevity in the mission. There are many verses in the Bible that show what it means to have some inner skill sets that will help the missionary feed themselves on the word of God. Here are a few of them. They are from the ESV of the Bible. Psalm 119: “145 With my whole heart I cry; answer me, O Lord! I will keep your statutes. Missionaries, who possess the skill set to feed themselves with the word of God, will rejoice in their spirit. This is a diary entry of Jim Elliot, as he prepared to go to Ecuador, as a cross cultural missionary in a remote setting. His diary entries testify to his vine and branch relationship with Jesus Christ. His heart is overflowing with praise to the one who suffered, died and rose again. His words reveal the fruit of his spiritual life. This is the excerpt of Jim Elliot’s diary. At 23, he was working as a salesman while preparing for God to take him to Ecuador as a missionary. He was developing radio programs to communicate God’s heart for missions. January 16 (1951). “Feel that I must write something tonight in praise to the God of delights. The day passed slowly with little affairs; two conferences for Hytool sales, contract signing for a radio program, some poor script writing, all with a sense of waiting on God for his time, His H-Hour. All day the sun dropped hints of spring, and at dusk, returning from the shop I exulted in the distinct wall of purple- the Ozark foothills- closely guarded by the unblinking Venus. The night spread black and blossomed brilliantly with stars. I walked out to the hill just now. It is exalting, delicious. To stand embraced by the shadows of a friendly tree with the wind tugging at your tails and the heavens hailing your heart – to gaze and glory to give oneself again to God, what more can a man ask? Oh the fullness, pleasure, sheer excitement of knowing God on earth. I care not if I ever raise my voice again for Him, if only I may love Him, please Him. Mayhap in mercy He shall give me a host of children that I may lead through the vast star fields, to explore his delicacies, whose finger-ends set them to burning. But if not, if only I may see him, touch his garments, and smile into my lover’s eyes-ah, then, not stars, nor children shall matter – only Himself.” Elisabeth Elliot. Shadow of the Almighty, Harper and Row, San Francisco, p. 142. Like Jim Elliot (of the Ecuador 5), we too can be transformed as we dwell in God’s presence. 64 Bill Mills & Craig Parro. Finishing Well In Life And Ministry. Leadership Resources International. 1997. Palos Heights Illinois. « The Reason Why The Americans Were Eager To See Upper State New York Settled by French Canadian Farmers like the Jesmer’s.